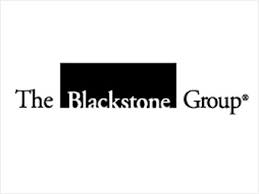 The Blackstone Group L.P. (NYSE:BX) senior managing director William Mulrow was appointed by New York Governor Andrew Cuomo to be his top aide, in an announcements made on Sunday. The governor, about to start his second term, has also made 18 other new administrative appointments apart from naming the senior Wall Street executive to the critical post. Prior to his current appointment, William Mulrow have been into various federal political and state positions, apart from his stint at The Blackstone Group L.P. (NYSE:BX), a private-equity firm also known as the world’s biggest alternative investment manager. His current position as the secretary to the governor entails a key role in which he will take part in yearly budget deliberations. Mulrow will be taking over the position from Larry Schwartz, who was Cuomo’s secretary from 2011 onwards. Schwartz will be leaving the post to work at the private sector. In a statement e-mailed to Bloomberg, the 57-year-old governor, who is a Democrat, says that “new ideas and talent are critical to innovation and success.” Cuomo also appointed Robert Megna to the New York State Thruway Authority as its new director. Other important appointments include Alphonso David, who will take the post as a counsel to the governor starting April 1, and Mary Beth Labate, who will be charged with the position of budget director effective immediately before the scheduled budget negotiations between the governor and legislative leaders. Reflecting on the changes, Cuomo enthuses that the “team will build on the extraordinary progress made over the last four years by bringing experience, energy and fresh perspectives to the table.” Mulrow, who has also served as director of the United Nations Development Corporation, will be leaving his post at The Blackstone Group L.P. (NYSE:BX).